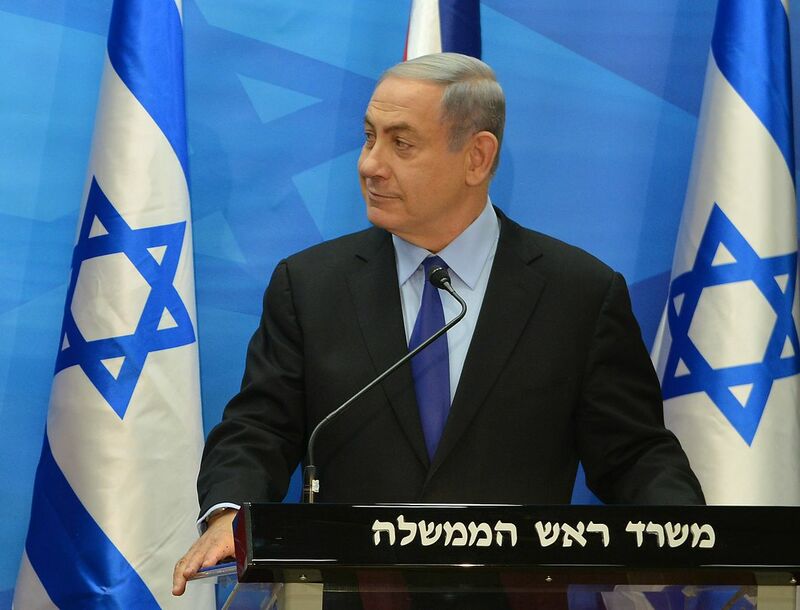 Israeli Prime Minister Benjamin Netanyahu won’t be defeated in the polls on April 9. Whether he is indicted for corruption soon or not, his method of repressing Palestinian resistance is popular — and will probably outlast him in Israeli politics. On April 9, Israel will hold elections to its parliament, the Knesset, which appoints the government. On paper, Israel’s fully proportional electoral system is quite volatile, with a whopping ten parties represented in the outgoing parliament, and some polls showing this number might go up as high as fourteen. But few of these parties differ from Prime Minister Benjamin Netanyahu on the important issues, and none seriously threaten the continuing dominance of his right-wing Likud party. Even if Netanyahu goes to prison for the corruption offenses that the Attorney General has recently recommended he be indicted for, whoever replaces him will likely continue the same policies for as long as Palestinian resistance remains manageable and the international community indifferent. Netanyahu was first elected to the premiership in 1996 in the wake of the assassination of Prime Minister Yitzhak Rabin of the Labor Party, who had led the Oslo peace process with the Palestinians. Despite having played a central role in the incitement which led to Rabin’s murder, in his first term Netanyahu stuck to the negotiations and was voted out in 1999 in favor of Labor’s Ehud Barak. He returned to the post in 2009 and has remained in power for the last ten years; if re-elected, in July 2019 he will break the record of the state’s founder, David Ben-Gurion, for longest time in the post. Netanyahu’s ability to hold onto power for this long rests on his success in stalemating Palestinian resistance through intensified repression in the West Bank, with the cooperation of the Palestinian Authority led by Fatah, and the isolation of the Gaza Strip under the rule of the more militant Hamas. His strategy has been to play the long game, deepening and perpetuating the political divisions between Palestinians in the West Bank, the Gaza Strip, East Jerusalem, within Israel, and in the refugee diaspora, whose rights of return and restitution all Israeli governments have denied. Through a combination of constant bombardment and periodic incursion in Gaza and intense surveillance and repression in the West Bank, over the last decade Netanyahu’s government has been able to reduce Israeli casualties of the conflict to a minuscule number as Palestinian bodies continue to stack up. Under such circumstances, talk of one- or two-state “solutions” to the conflict and even of the “deal of the century” leaves most Israelis cold: so long as Palestinian violence is kept in check the conflict is as good as solved in their eyes. Netanyahu is also happy to take credit for Israel’s strong economy, which has largely been spared from the shock of the world recession: the currency is strong, unemployment is low, the minimum wage has gone up (due to union and civil-society action — for which, again, Netanyahu is happy to take credit), and economic inequality has actually been decreasing. Israel’s information technology sector, closely tied to the military-surveillance complex, is a world leader and a major employer. For the majority of the population — excepting the poor, mostly concentrated in the minority of Palestinian citizens and the ultra-Orthodox community — the most difficult economic problem is the spiraling cost of housing. On the international front, Netanyahu has made some risky moves which, for the time being, seem to have paid off. He has leveraged the implosion of Israel’s neighbor and military rival Syria into a catastrophic civil war involving a staggering variety of regional and world powers, maintaining excellent relations with the US while strengthening Israel’s quiet alliance with Saudi Arabia and its Gulf partners and improving relations with China and Russia. As the political center collapses in North America and Europe, he has allied himself staunchly with insurgent right-wing leaders such as Trump, Orban, and Bolsonaro, helping to whitewash their connections to white nationalists and antisemites. While this has alienated liberal and left constituencies everywhere, including in the US Democratic Party and among American Jewry, for now these groups are out of power and helpless to stop diplomatic coups such as the moving of the US embassy to Jerusalem, which Netanyahu presents as a historical achievement. Under the circumstances it is hardly surprising that Netanyahu’s rivals are sticking to personal issues in their criticism. Foremost among these rivals is the amorphous new “Blue-White” list — named, inanely, after the colors of the Israeli flag. This party, led by three former Chiefs of Staff of the Israel Defense Forces and a veteran centrist politician, shamelessly banks on the popularity of the army among Israel’s “old elite,” the mostly Ashkenazi (Jewish of European origin), educated middle class. Formerly associated with the Labor Party, this group is still allergic to the Likud and especially to the Netanyahu family and its nouveau riche antics, but is by and large satisfied with the current situation and even agreeable to cynical attacks on Netanyahu “from the right” for the long-term understandings he has reached with Hamas in Gaza. The once-hegemonic Labor Party, reduced to irrelevance by the rise of Blue-White, has recently tacked left with an “anti-fascist” campaign hewing close to the more consistently left-liberal Meretz, but these parties together marshal a shrinking constituency concentrated in Tel Aviv. At the same time, a swarm of parties to Netanyahu’s right all declare allegiance to him while rivaling each other in the rhetorical virulence of their racist attacks on the Palestinians. The Kahanist “Jewish Power” bloc, which made international headlines when Netanyahu himself brokered a deal to get it into parliament, is only the newest iteration of these extremist satellites. In Israel’s multi-party proportional system, all governments are coalitions; hence, even if Blue-White passes Likud in the polls, as some surveys show it might, it will face a choice between trying to cobble together a “centrist” coalition with small parties whose natural candidate is Netanyahu or a “leftist” one with Labor, Meretz, and the two Palestinian-led lists. Afraid of scaring off centrist voters, Blue-White has sworn off any cooperation with the latter; hence, the possibility that it will lead a government seems quite remote. More likely, it will have to choose between wilting in opposition and waiting for the courts to do their thing, or joining a Netanyahu-led government on his terms. One of the only glimmers of hope in the outgoing Knesset, the Joint List of Palestinian-led parties, has also been extinguished. Observers in the Arab world and further abroad were enthused by this unprecedented union between leftists, liberals, independents, and Islamists, whose ideological counterparts are at war with one another elsewhere in the region. The Joint List was also a success with its target audience, the Palestinian citizens of Israel, who turned out in unusually high numbers and made it the third-largest force in the parliament. Its leader Ayman Odeh gained an international profile as the unquestioned leader of this often-overlooked minority and managed to wrest billions of shekels in funding from the Finance Ministry to redress some of the historic discrimination it has faced, even as Netanyahu legislated the infamous “Nation-State Law” which enshrined that discrimination in constitutional law. But the optimism seems to have been misplaced. The Joint List was formed in reaction to a raising of the bar for Knesset representation, a move explicitly targeted at the Palestinian parties. Following the imprisonment of one of its parliamentarians for smuggling cell phones to Palestinian prisoners, a protracted fight broke out among the List’s four components for the Knesset seat he had vacated. When new elections were announced, the four components immediately started bickering over placement in the new list, leading to another round of horse-trading which ended at the last legally possible moment with the List split into two lists devoid of any ideological distinction. Going into an election in which their citizenship is under greater threat than ever before — Netanyahu has recently clarified, in response to a reality-TV star’s naive assertion, that “Israel is not a state of all its citizens” — Israel’s Palestinian citizens are forced to choose between one marriage of convenience joining the Communists with charismatic maverick and close Fatah ally Ahmad Tibi, another joining liberal nationalists and Islamists, and the increasingly popular option of boycott. One of the two lists may not pass the bar for Knesset representation, but even if it does, the two together will not have the same parliamentary presence. The brief moment moment of unity and visibility has been squandered. Much as US liberals invested their hopes in the Mueller inquiry, Israelis opposed to Netanyahu are now hoping against hope that the many corruption investigations against him, three of which have already led the Attorney General to recommend an indictment, will end up clapping him in prison. But much like US liberals, these Israeli oppositionists are usually rather vague on policy alternatives, and if they get their wish the most likely outcome is that Netanyahu will be replaced by one of his Likud colleagues. Even in the unlikely event that power passes to another party, chances are that it will pursue much the same policies in order to maintain the stability of his hegemonic bloc. Of the 120 seats in the next Knesset, the majority will probably be occupied by different flavors of the same: a hundred Netanyahus. But stable as it may be from a domestic perspective, the Netanyahu bloc rests on shifting geopolitical quicksand. As the civil wars in Syria and Yemen wind down, the attention of the Arab world may swing back towards Palestine, especially if the forthcoming “deal of the century,” a Jared Kushner-brokered plan which Trump has promised will solve the conflict, backfires and embarrasses Israel’s discreet allies in the Gulf. The Palestinian Authority in the West Bank might collapse under the weight of its longstanding corruption and collaboration with Israel. And if the Left wins elections in the US, the UK, and elsewhere in coming years, incoming governments in key countries will be more sympathetic to the Palestinians than any have been in decades. When the next global recession comes, it may not skip Israel the same way the previous one did. And of course, there are the apocalyptic consequences of climate change to contend with. In the meantime, the global left would be wise not to place too much hope in the parliamentary process in Israel bringing about meaningful change. The small, consistent left in Israel needs global solidarity if it is to survive, but it will not be taking power anytime soon. In the medium run, the onward march of the global movements for solidarity with Palestine, for socialism and against imperialism is the best hope for political change in Israel and for justice for the Palestinians. Matan Kaminer is an anthropologist researching labor migration from Thailand to Israel's agricultural sector, an activist on Israel's radical left, and a founding member of Academia for Equality.